offer their talents lead the community in sung praise to God during the Eucharistic Liturgy. 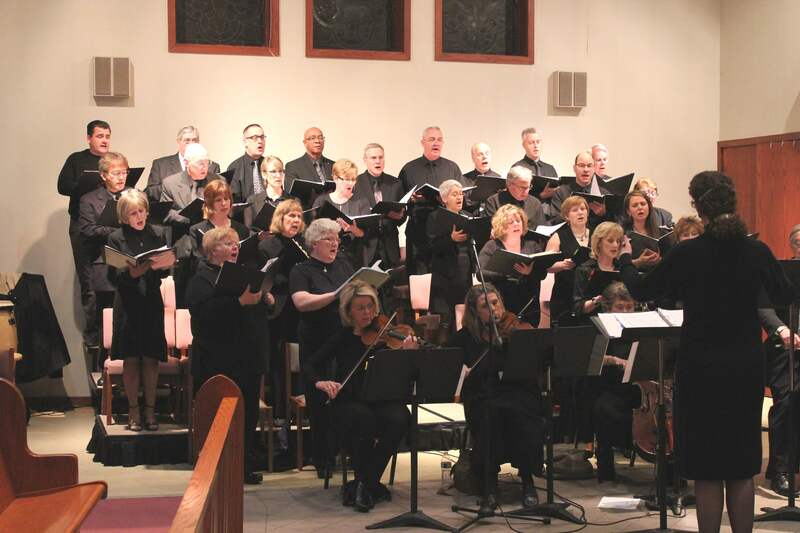 The Parish Choir: The Parish Choir sings a wide variety of music, from traditional to contemporary, gospel and jazz. This choir rehearses weekly on Wednesdays, 7-9 p.m. They sing at the 10:45 a.m. Mass on most Sundays from September through Pentecost, and other Masses as required. 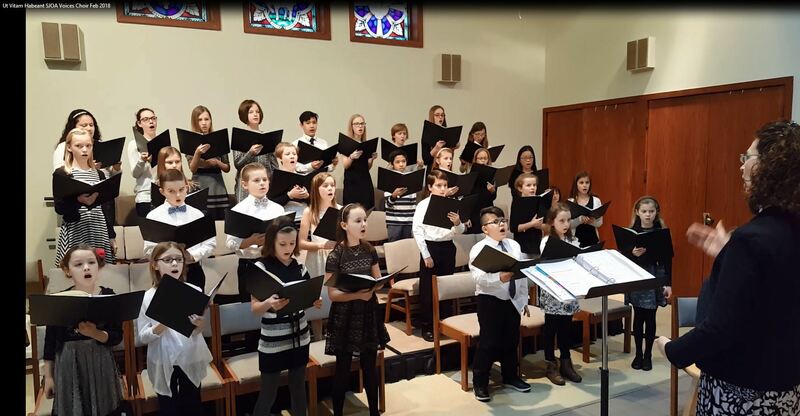 Voices: Enrollment for our youth choir, grades 3-8, occurs throughout August & September. 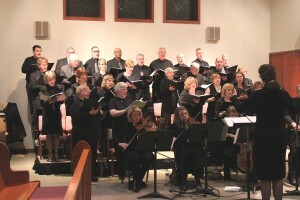 The Voices Choir sings at approximately one Mass per month, and other events as required. Rehearsals take place on Saturdays, 3:30-4:30 p.m., October through March. Download and complete a children’s music ministry registration form and return it to the Parish or PSR office. Come sing your joy to the Lord in Voices! Please click here to listen to our children singing Ride On, King Jesus. Please click here to listen to our children singing Ut Vitam Habeant by Ruth Elaine Schram. Fleur-de-Lis: Enrollment in this teaching choir for 1st & 2nd graders occurs in August & September. Your child will learn about pitch & rhythm, the Mass & the Church in a high energy setting. Rehearsals are Sundays, 3:15-3:45 p.m., September through March. If your child has PSR before or after rehearsal, we will either pick them up from PSR and bring them to rehearsal or drop them off at PSR after rehearsal. Download and complete a children’s music ministry registration form and return it to the Parish or PSR office. Divine Praises Teen Choir: Open to 8th graders and up, we rehearse on select Sundays at 4 p.m. and then sing for the 5:30 p.m. Mass immediately after rehearsal. We stay close to our faith by singing God’s praises and learning about the wide variety of music of the Church. Interested singers and instrumentalists should contact the Music Director. 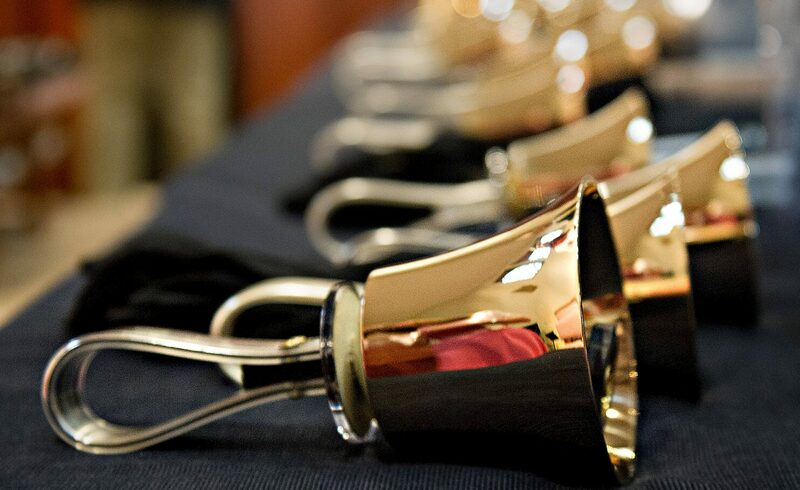 Parish Handbel l Choir: The Handbell Choir rehearses Thursdays at 7 p.m., September through Pentecost, and rings at one Mass per month, and other events as required. The ability to read music is a great asset, but is not required. Contact the Music Director if you are interested in learning to ring handbells. Join us! The “Ringers” Handchime Team: The Ringers Handchime Team teaches 4th graders and up how to read music and ring. Some of our members continue to learn handbell technique and ring with the Bell Choir. Rehearsals are Thursdays, 6-6:45 p.m., September through March. Download and complete a children’s music ministry registration form here. 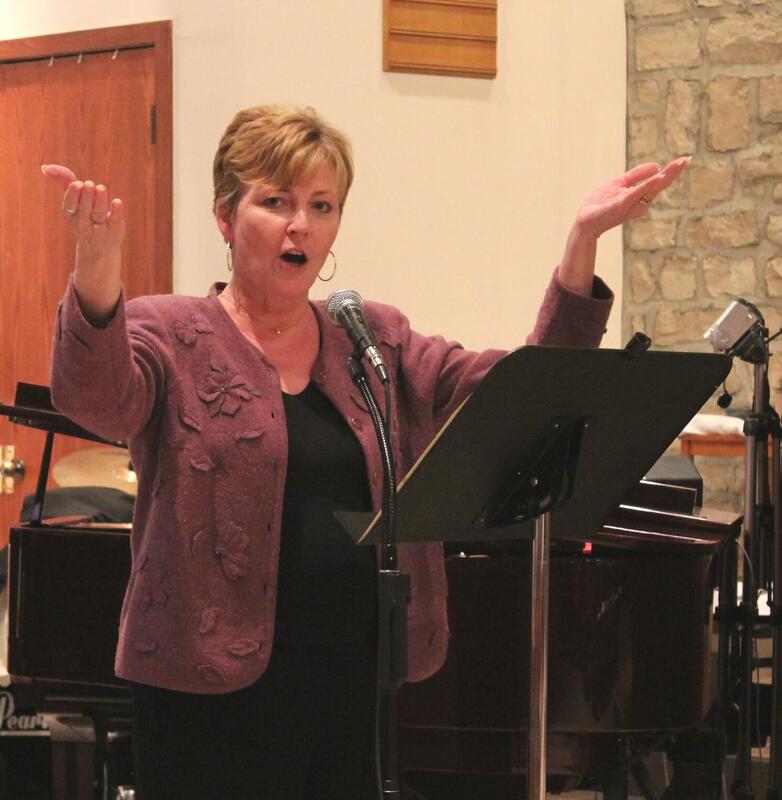 Cantors: Cantors must have a strong and melodic singing voice, an understanding of liturgy and the confidence to sing in front of the entire congregation. Cantors must be members of the Parish Choir. St. Joan of Roc: This talented female vocal trio sings contemporary music along with a variety of talented musicians. They sing at 1-2 Masses per month, and other events as requested. Instrumental Ensembles: Parishioners who play strings, woodwinds, brass or percussion are encouraged to contact the Music Director to share their talents with the parish. 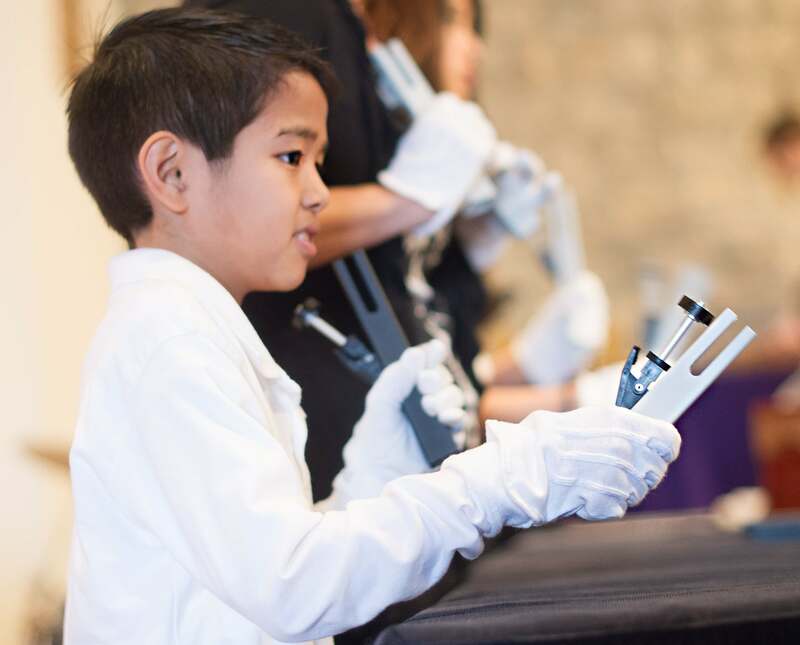 We would love to have you be a part of our program, whether you play regularly or just for special events. A Bethlehem Carol (ABC): Our annual nativity play is performed by our parish children, in grades 1-8. Sign-ups for ABC are on Tuesday, September 25, 2018, at 7 p.m. in the lobby area near the trophy case by room 19. Auditions are for placement only – all children who sign up are placed in the show, regardless of ability. The show can only accommodate 65 children on a first come basis. Rehearsals are on Tuesday evenings from the middle of October until the first Saturday in December when the show takes place. Here is a link to the schedule for our 26th production: ABC 2018 Schedule. A BETHLEHEM CAROL ALUMNI CHOIR: Any teen or adult who participated in A Bethlehem Carol throughout its 25-year history is invited to join us the Sunday after Christmas to sing for the 5:30 Mass. Rehearsal begins at 4 p.m. Please contact the Music Director a week prior so that a notebook is prepared for you. CHILDREN’S CHRISTMAS CHOIR: If your child in grades 3-8 loves to sing, but is unable to make a weekly rehearsal commitment for the year, consider joining our Children’s Christmas Choir to sing at the 11 a.m. Children’s Christmas Mass on December 25. Rehearsals for 2018 take place on Saturdays, December 8, 15, and 22 from 3:30-4:30 p.m. Join us as we welcome the newborn King! The children’s music ministry registration form can be downloaded here. Please register by December 1, 2018. ANGELIC CHOIR: Unable to commit to the full Parish Choir schedule? Consider joining us for Christmas Vigil and/or the Easter Triduum. We would love to have you join us for these joyful liturgical events. MEN’S CHOIR: We rehearse two Wednesdays, June 6 and 13, from 7-8:30 p.m. to sing for the 10:45 a.m. Mass on Sunday, June 17, Father’s Day. This choir is open to all men of the parish, 8th grade (changed voices) to age 80+. Fathers, sons, grandfathers, and grandsons are encouraged to sign up together for an amazing musical experience! MIRIAM CHOIR: Exodus 15:21. We rehearse on two Wednesdays, August 1 and 8, from 7-8:30 p.m. and then sing for the 7:30 p.m. Mass for the Feast of Assumption on Wednesday, August 15. The Miriam Choir is open to all women of the parish from high school to age 99+. We encourage mothers & daughters, grandmothers, and granddaughters to sing together for this beautiful Feast Day! If you are interested in adult parish choir, cantoring, or being an instrumentalist, please contact Bob Wisniewski at bwisniewski@stjoanofarcpowell.org. If you are interested in our other ensembles, please contact Kristen Chapman at kchapman@stjoanofarcpowell.org.